If you like sweet, fruity and girly fragrances (and lets be real here I think most of us do- they just smell so nice!) this is definitely one to scribble onto your wishlist. Princess Power is the brand new fragrance in Vera Wang's infamous 'Princess' range, released for spring and summer of 2014. As a self confessed perfume-a-holic this is quite possibly the most excited I've been about a product all year; the original Princess perfume has been on my long list of fragrances I'd like to try for ages, and so I'm really glad to own it's brightly coloured hippie sister. Based on the packaging you might assume this would be a very loud and overwhelming perfume, but what you get is completely different- it's a pretty, fruity scent that's ideal for the daytime. I can detect a slightly floral and musky undertone but they're definitely not the stand-out features of this perfume. I can't say I have a clue what 'plumeria' or 'blonde woods' smell like (if you do, please enlighten me!) the main notes I get from this are the raspberry and vanilla. The packaging might not be to everyone's taste but I absolutely love it, the vibrant multi coloured bottle is so fun and is just the thing for a girly spring/summer fragrance. Despite being a heart shape it comes with a flat base so it can be stood up (which I greatly appreciate- cheers Vera) as I like to have my perfumes out on display. Judging from the packaging I assume this is aimed at a slightly younger audience, although I'm 26 and love it and certainly don't feel it's too 'young' a scent for me. In fact I'd say it's the type of perfume I could wear every single day and never get bored of; of course it's nice to have sophisticated fragrances for evenings and nights, out but for me it's always going to be easy to wear daytime staples like this which I'll get the most use out of. Vera Wang describes this scent as effortlessly cool (oh, how I wish I was effortlessly cool) stylish and lively, and while I'd usually dismiss perfume descriptions as nonsensical drivel I'd say this was quite a good little summary. This perfume comes with a purple tote bag (I posted a picture of it on my Instagram here) which I thought was such a nice freebie- who wouldn't want a bit of Vera Wang arm candy? Vera Wang is a high end fashion designer and so this isn't a budget perfume, however it's considerably cheaper from Fragrance Direct than it is elsewhere. Fragrance Direct is my very favourite place to shop for beauty products- always a bargain to be had! 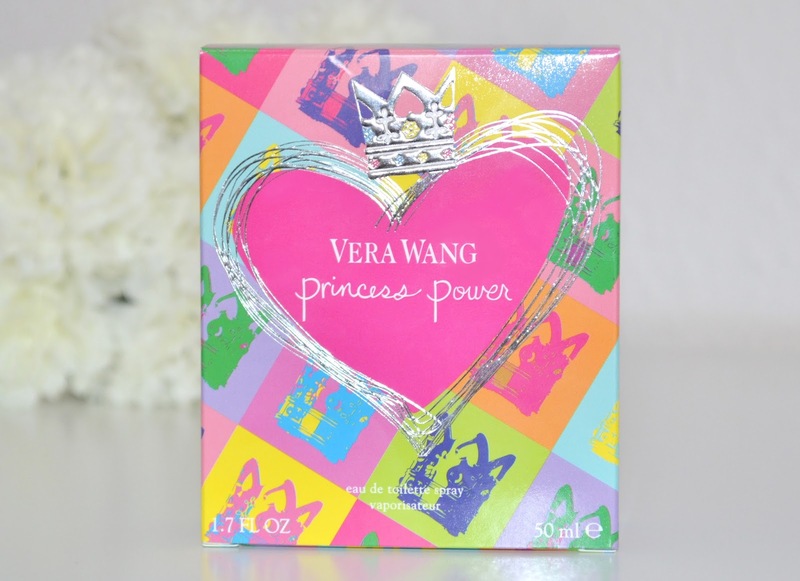 Have you tried any of the perfumes in Vera Wang's 'Princess' range? Does this sound like something you'd go for? Love the packaging and bottle of this! love the packaging! such a cute way to present a product. 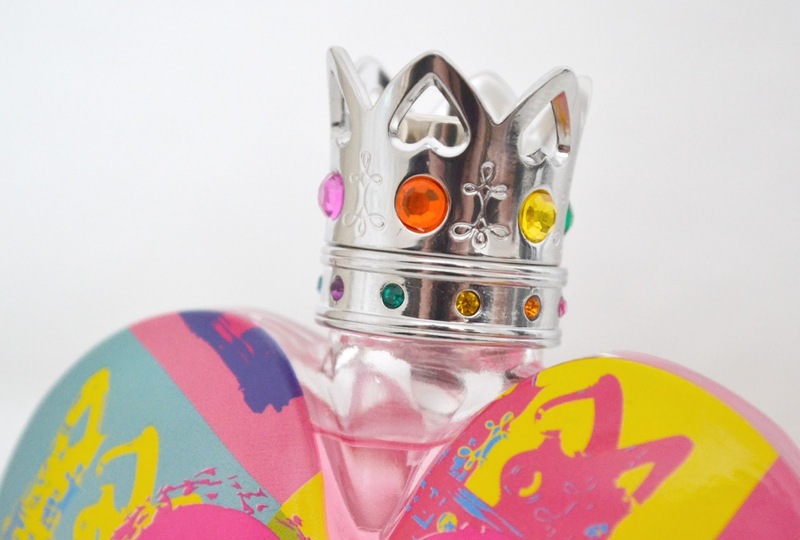 I absolutely love the Princess line - can't wait to smell this! Oh how flipping adorable is that bottle at all?! The packaging of this is to die for, better yet it sounds like it smells amazing! Just found your blog on Twitter and it looks lovely!